Raise your hand if you have one of those Dads who already has everything. I'll wait. It looks like most of you. Well, not to worry. This Father's Day, we're offering a great line-up of things he's guaranteed to NOT have. How, you ask? Because they're all handmade here in Kansas City by totally unique artists in a variety of mediums! 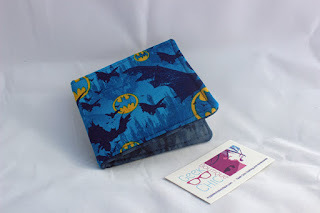 First up, I'd like to share this awesome handmade wallet by The Geek Chic Boutique! It'll bring a smile to his face and really, who doesn't need a new wallet? 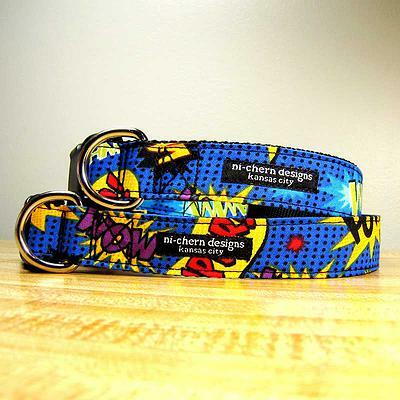 Next up, and continuing with the theme of “Superhero” (because we all know Dads are actually superheroes in disguise), we have this awesome goodie from Ni-Chern Designs: a new collar for Man's best friend. Sure, it's not exactly “for Dad” but it's a great gift that he and the whole family can enjoy. Don't have a dog but wish you did? Problem solved! 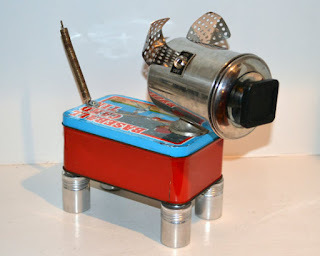 It's easy to love this Robot Dog named The Hoz by Remnants by RJ. If your dad is more of a Bruce Wayne than a Batman, we've got some stylish trumpet key cufflinks he needs to see from Hang Ups in KC. And last but not least, for the dad who truly has everything and needs a place to store it, we offer the following from Life's Gems. It's a sweet, reusable, reversible, upcycled storage bin that can be used to organize all sorts of cool stuff. Let us know in the comments if you end up choosing any of these great gifts for your dad this Father's Day! 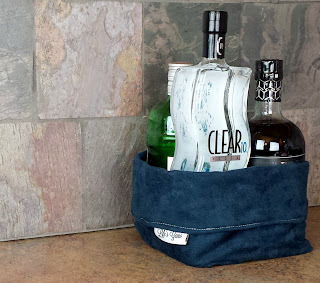 A big thanks to Handmade in Kansas City Team Member Larissa Uredi from Unravelled for writing this blog post.